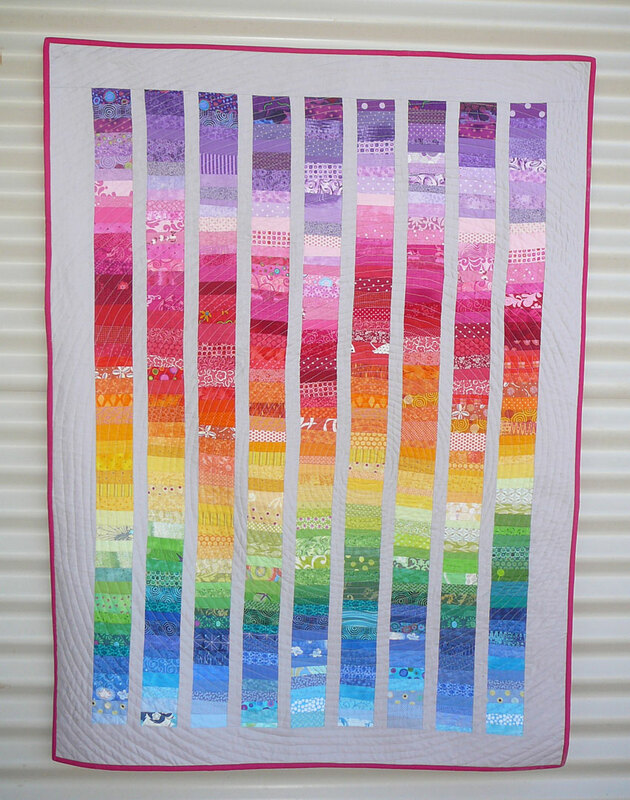 Patchy Work of Mini Grey: A Spiral Quilted Rainbow. Well it's been awhile between finished quilts but I finished the binding on this beauty during the week. The baby girl it is intended for isn't due till November so I am nice and early although November will be here before we know it at the rate 2013 is zipping past us! So I did one giant spiral for the quilting. And I learnt that even though one can pin a quilt together AND spray baste it, going in one direction the whole time is going to make the backing slip.... At first I was thinking argggggg! 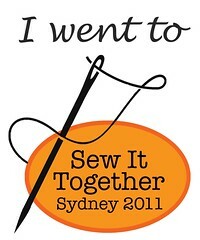 Have to sew another one, not good enough for this new baby! But then I showed it to a few people in real life and on FB and they didn't notice. 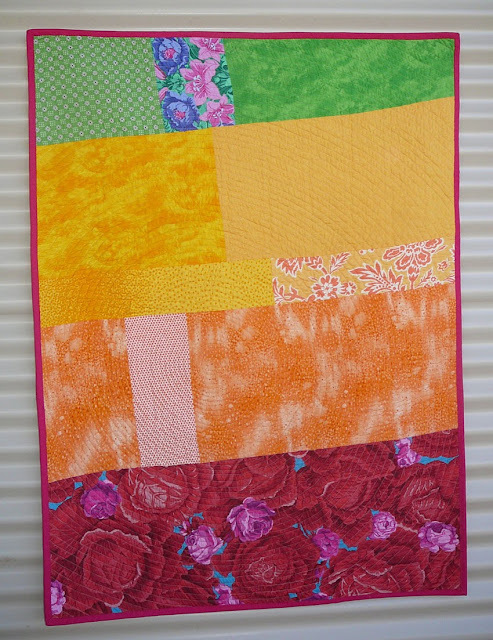 Sometimes non quilters don't see the mistakes quilters see I suppose. Or are they being polite? So it measures 35 by 47 inches, I'm really pleased with it. I'd like to do a whole range like this, blue to green to yellow or just dark blue to light blue or in greens or yellow to orange to red?? Oh the possibilities! It's so gorgeous! Honestly, I looked at the pictures before reading and I thought you did it on purpose. I like the back! it's absolutely stunning. 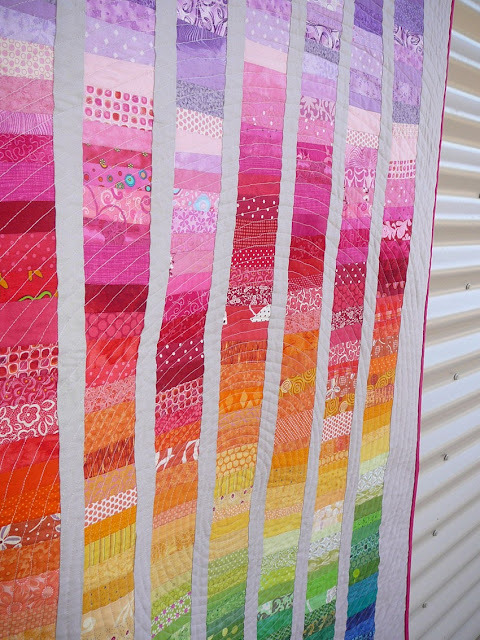 I love this quilt so much, I think I've pinned it several times! The back looks perfect to me and the front is just my favourite thing ever! very nice and there are not mistakes back or front-it is perfect!